Stripers like shad.....an understatement, eh? Shad are the striped bass bait of choice. There are times when a slab shaped like a shad does the trick!! This type lure is often imitated and is not new to the market for sure. 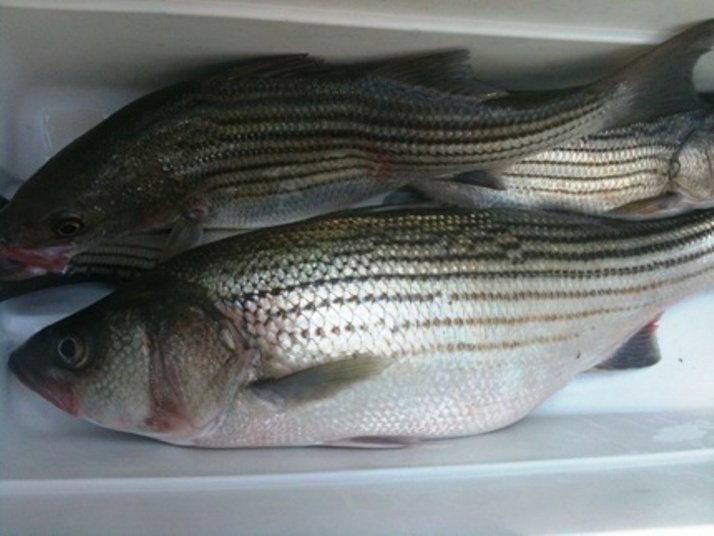 But it is a good, solid go to lure for both striped bass and sand bass. I am proud to start offering this lure from ReAxtion Lures. The bodies are durable and come in many fish attracting colors. I hope you will find them as productive as I do. Shad slabs are available in 1.0 and 1.5 ounce sizes and in the WHITE BASS KILLER 0.75 ounce size. They come in various weights and colors. Buy several so that you are covered. Shad are plentiful this year!! Buy Chrome and fool 'em. Shad Fooler! - Buy Chrome!